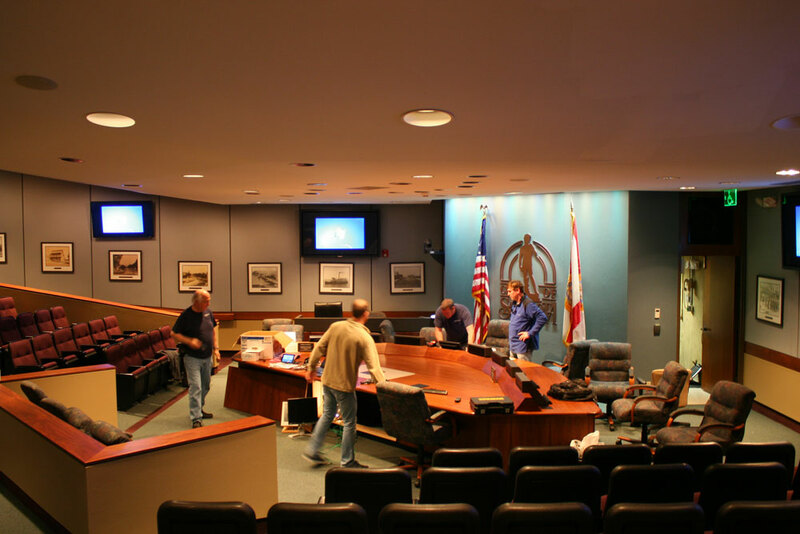 Encore was brought into the City of Sarasota to convert their AV system in the commission chambers from SD to full HD. Almost everything was completely taken out of their existing system. 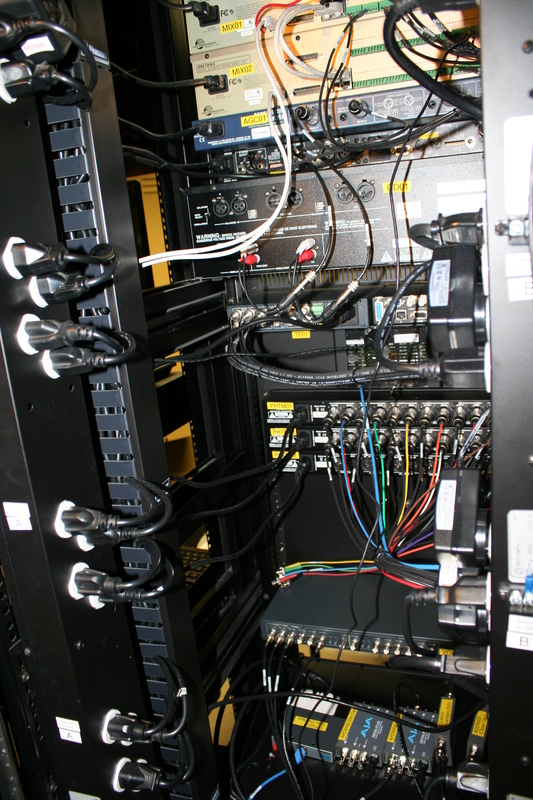 New cabling was installed and the mission to replace outdated and failing technology began. 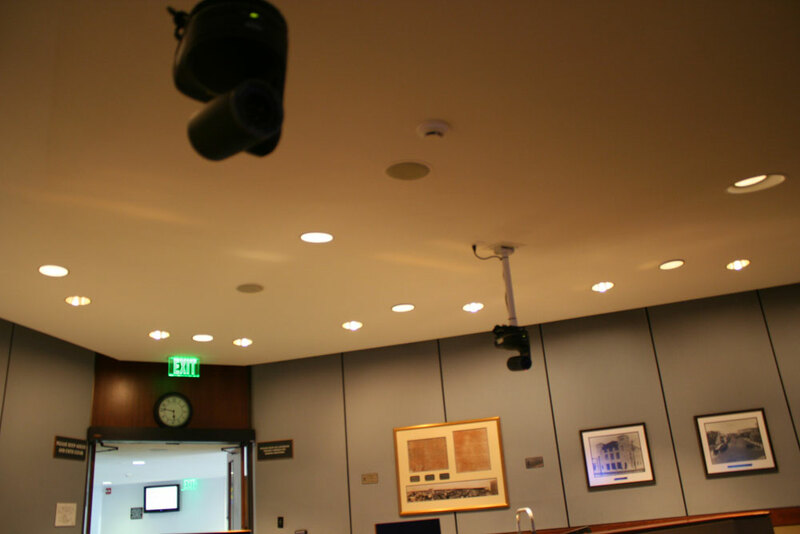 There were 13 Beyerdynamic MPR 211 desktop microphones and new monitors installed in the large circular desk for the commission members. 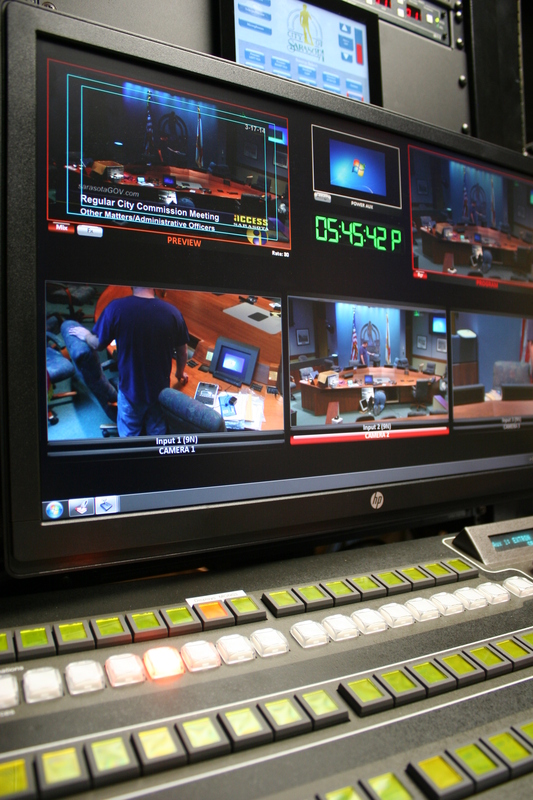 Three Panasonic AW-AE120 pan-tilt zoom cameras along with a Broadcast Pix Granite 2000 switcher were utilized for premium production capabilities. 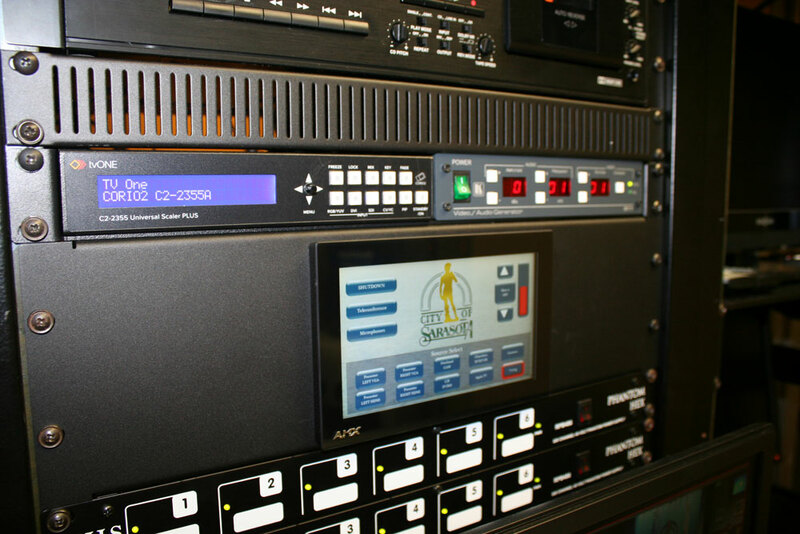 A new AMX NI-3100 control system with AMX 7” Modero and Elo Intellitouch 15” touchpanels were integrated for edge-to-edge touch and distinctive audio and video quality. 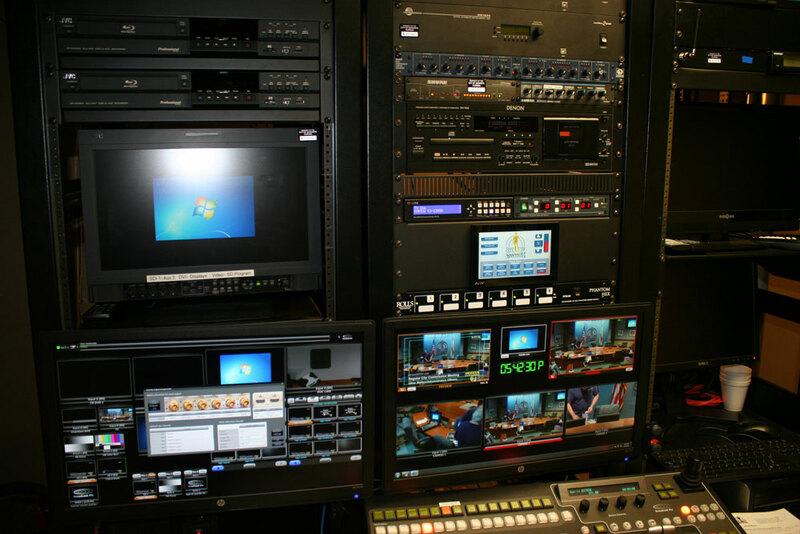 Recording for archiving and playback purposes was done on new JVC SR-HD2500 Blu-Ray DVD players. 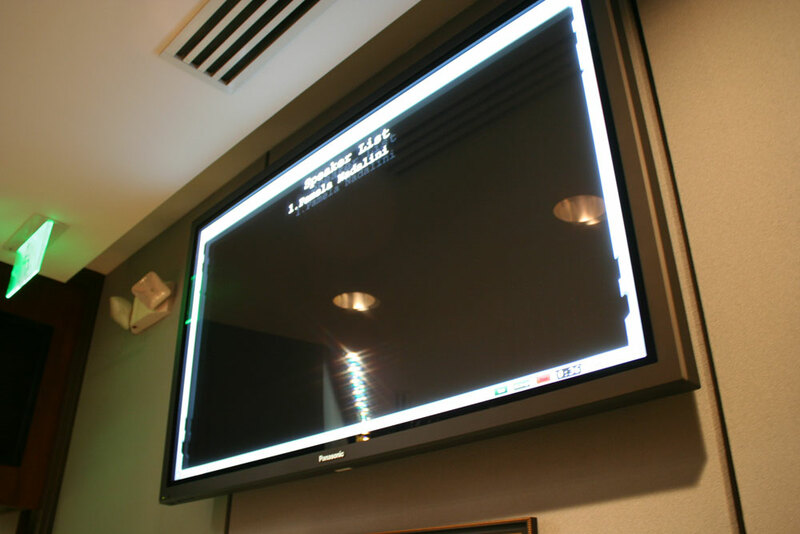 In the control room new HP LED Backlit LCD business class monitors were installed. There were many standout features to this installation. 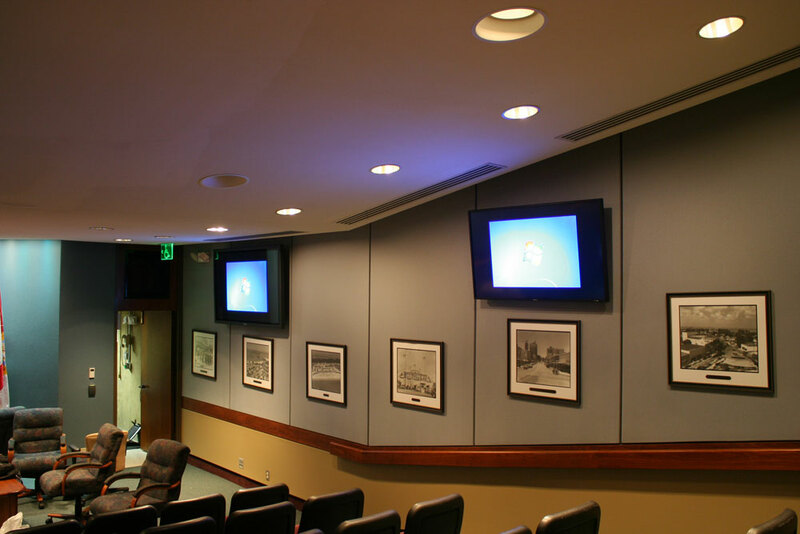 For added viewing Encore incorporated two Panasonic TH-55LF6U 55-inch HD LED displays to the city’s two existing 65” displays. New JBL Control 26 speakers were installed in their lobby for overflow sound. Innovative Extron architectural desk jack plates were used for the presenters to be able to walk up to the chamber podium and plug in their laptops to show content. With the push of a button the plates appear and can go down when prompted. A new D’San Deliberator voting system impressed the members the most with an integrated timing system that shows changes in light color when the speaker’s time is expiring. 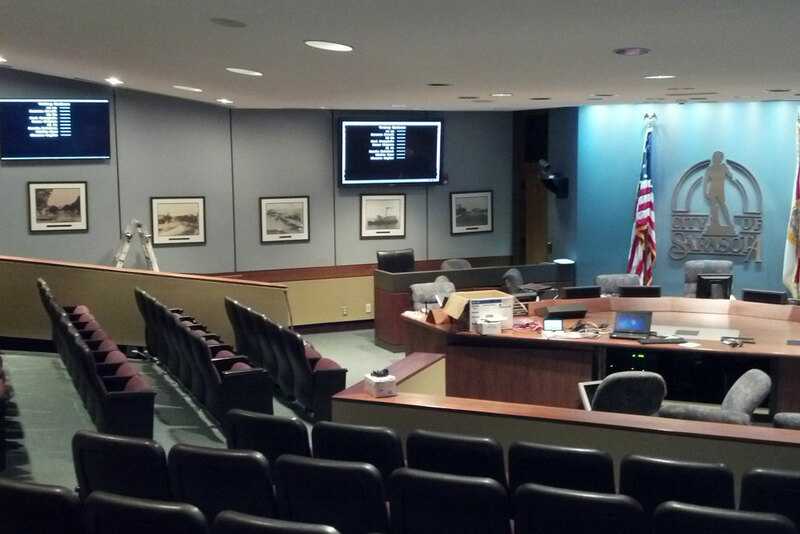 The upgrades for the commission chambers were completed in two weeks and on time for their next scheduled meeting. 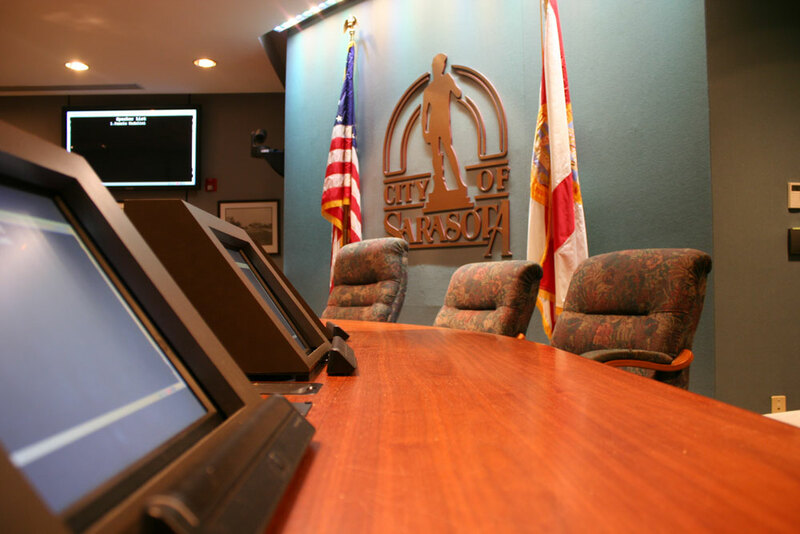 Encore has been the key contributor for generating a better quality experience through superior audio, video and enhanced technology for the citizens of Sarasota.